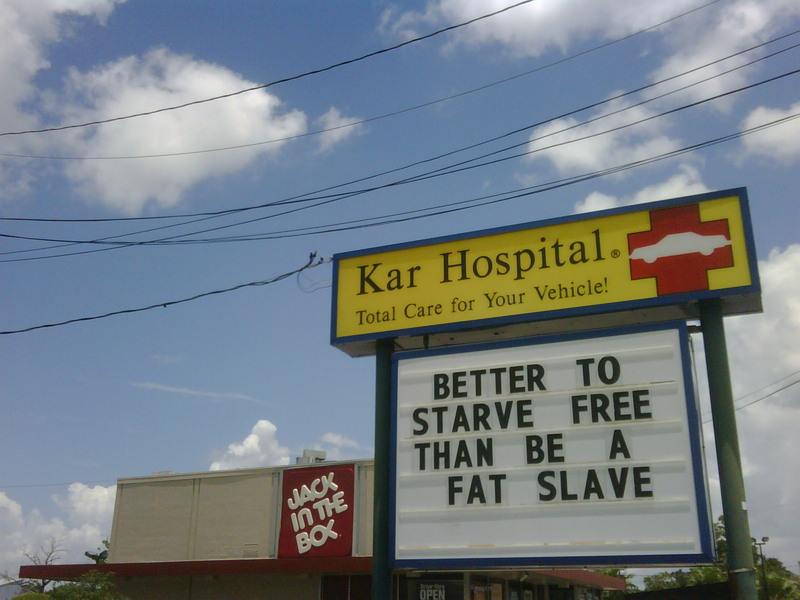 Better to starve free than be a fat slave – is this houston? Makes me want to spend my hard earned money and buy a Large Curly Fries and an Oreo Shake from the Jack in the Box to celebrate my freedoms. I love this country and the First Amendment.